Are you withering away waiting for new episodes of Outlander? Rejoice, this Starz TV series returns April 5, 2015. We’re about to get the second half of season 1 in this series, which tells the tale of a 1940s nurse who time-travels to 18th-century Scotland. Get ready for more tartans, danger, and shagging in the heather! Special note for UK viewers, you’re finally going to get this series on Amazon Prime! What happened, costume-wise, in the first half of series one? What do we have to look forward to this spring? So far, the series has flashed between Claire’s life in the 1940s with her husband Frank, and the new life she has been forging in the 18th century with Jamie. This was the flashback to Frank & Claire’s wedding, in the late 1930s. The more I look at this, the less I like it. That floral just strikes me as “wrong” for the period, and I hate it paired with the plaid. Also, why the silk taffeta sleeve ruffles (which would have been white linen or cotton)? Claire’s stays, worn under her wedding dress. 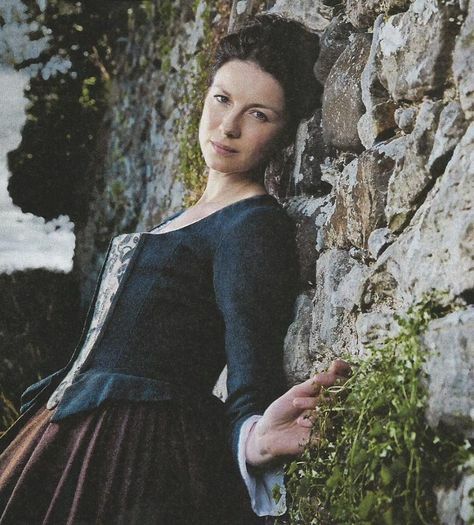 Or maybe, workin’ for the sassenach? 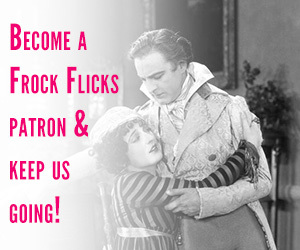 Why no straps on your bodice, Geillis? Apparently no one notices if you go all Midsummer Night’s Dream during the Gathering. The backwards, monkey fur jacket. How many monkeys did she kill? 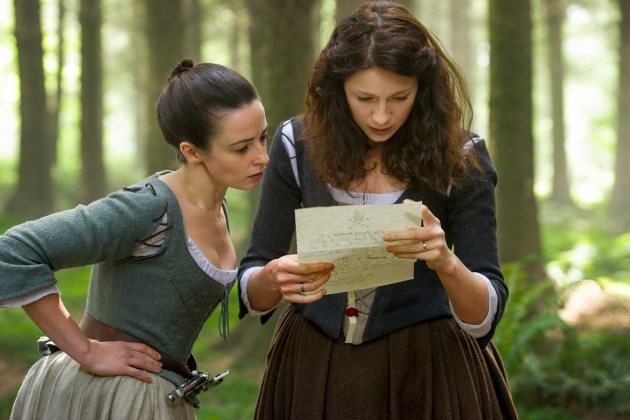 What’s Next in Outlander Costumes? Well, a lot of the same! Without giving away to many spoilers, Claire and Jamie are going to spend a lot more time on the road and in peril. They will have a brief idyll, but it’s not a fancy one. We’re going to be primarily (or only?) 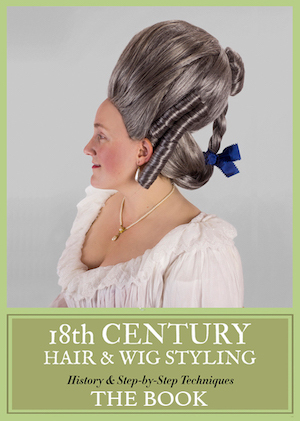 in the 18th century, so little/no sign of Frank or the 1940s. More of the same, costume-wise. This is the new, season 1 part 2, poster. From the part 2 trailer. Back to laced on, renfaire sleeves. I could analyze this, but it’s Geillis, she apparently doesn’t give a crap about blending in. Although where she gets her design sense, I don’t know. Stevie Nicks? Jenny (left) and Ian (right). Another shot from the trailer. Cream wool jacket with criss-cross lacing — very 1740s. Jenny and Claire, hanging. Both are fans of the laced-on sleeve. Can’t Wait Till Outlander’s Premiere? 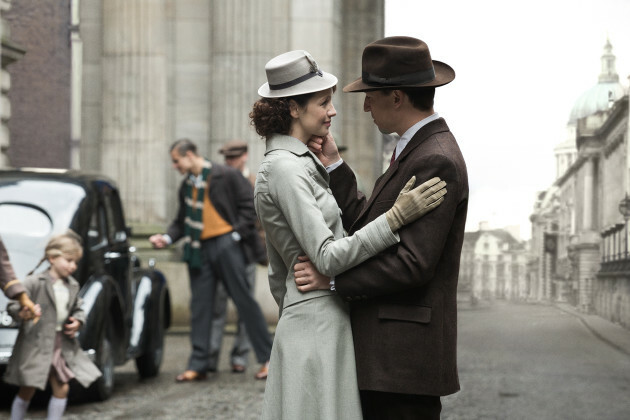 And, of course, the Outlander part 2 trailer! Will you be watching the second half? 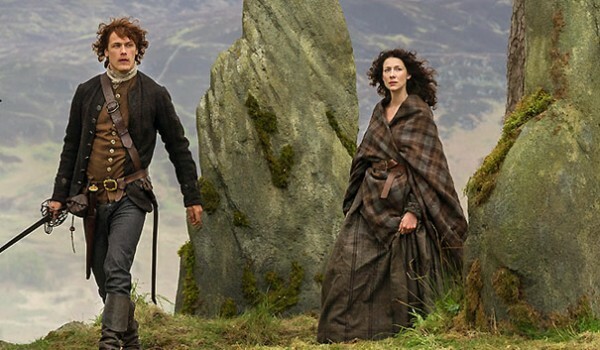 What do you think of the Outlander costumes?